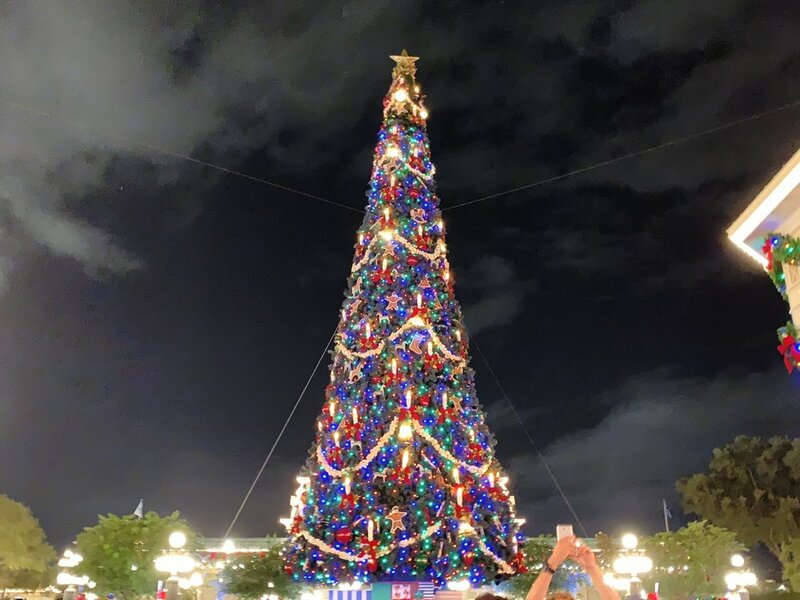 In this post, we cover everything you need to know about Christmas season at Magic Kingdom. If you’re looking for information on the Christmas party, check out our guide to Mickey’s Very Merry Christmas Party! Below, you’ll find information on rides, decorations, merchandise, and entertainment for all of Christmas season. We also cover Magic Kingdom during Christmas week, which comes with different offerings than the rest of the season! One common question is When does Disney put its Christmas decorations up? Well, in 2018, the first decorations went up overnight from October 31 to November 1 at Magic Kingdom. Then the next few days, more touches are rolled out. Even before you walk under the railroad, you’ll start to see Christmas decorations. Christmas is most alive on Main Street, U.S.A…. Mickey wreaths adorn most every pole down Main Street, U.S.A. There are a few “ordinary” wreaths around as well. We don’t really cover food, so here’s Disney Food Blog covering the holiday snacks at Magic Kingdom. 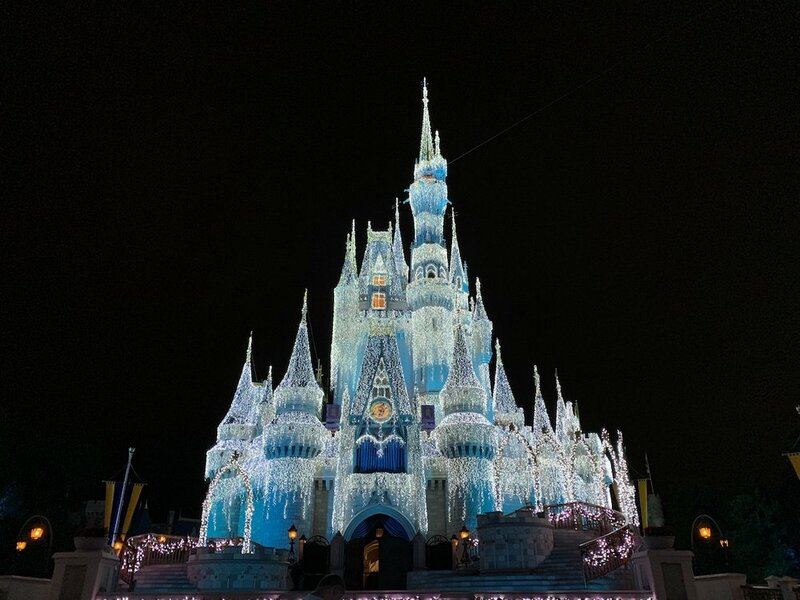 During the holiday season, Magic Kingdom has a nightly showing of “A Frozen Holiday Wish.” This is short show that features Anna and Elsa lighting up Cinderella Castle in all its icy holiday greatness. It’s a good show and worth a watch while at the park. While the maps haven’t rolled over and won’t show Jingle Cruise until later this week, the annual overlay is already in place at Jungle Cruise. I don’t much enjoy the Jingle Cruise jokes—certainly not compared to Jungle Cruise—but it is nice to hear something different, and the decorations are great. Update: Emily rode Jingle Cruise the other day and reported significantly better jokes than what I heard. 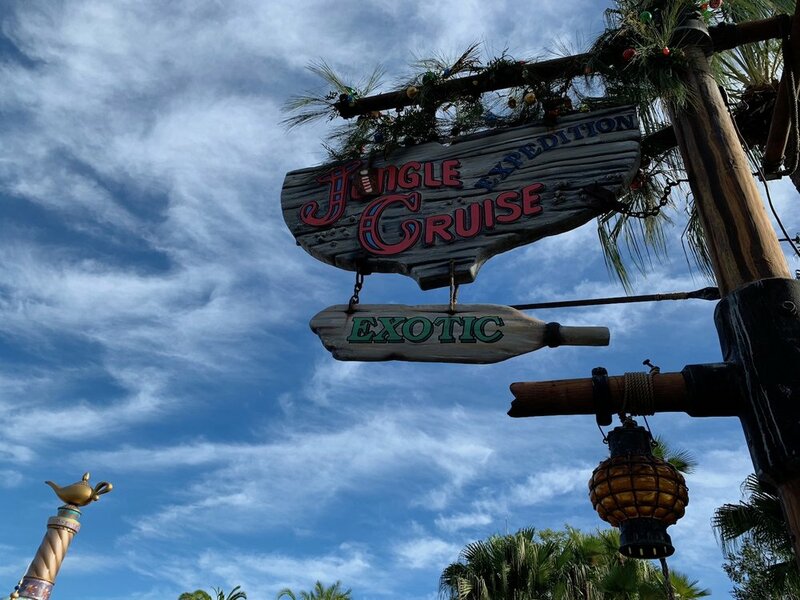 Jingle Cruise may just be more “your experience may vary” than Jungle Cruise. Update 2: I’m now 0-for-2 on Jingle Cruise. Unfortunately, I had a bad seat, so my best pictures are of the queue. I’ll do my best to grab some better ones later on. The office is thoroughly decorated, but the netting gets in the way of detailed photos. The unidentified hut at the start is well done. Even the tarantula is in the spirit! Trader Sam has politely been asked not to bring food to the holiday pot luck. But he’ll probably be busy with his Sam-ta duties anyways! The skippers have some great resolutions! 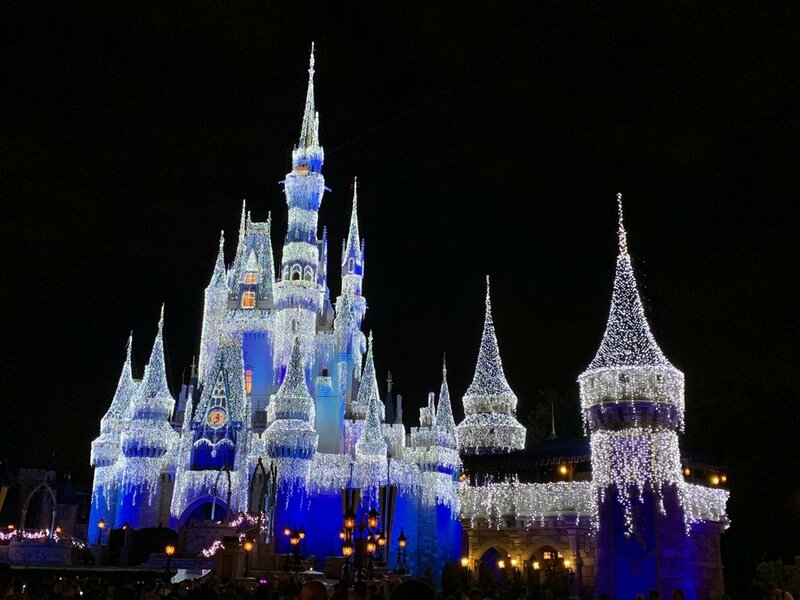 Christmas week at Magic Kingdom is different from the rest of the season. In 2018, this week was December 23 to December 29. During that week, the standard shows were replaced with the shows from Mickey’s Very Merry Christmas Party. Not shown on that schedule is that A Totally Tomorrowland Christmas was else shown on the Tomorrowland stage multiple times each day. Moreover, snow was regularly sprayed onto Main Street, U.S.A. We didn’t catch the exact schedule, but I’m pretty sure it is after each Mickey’s Most Merriest Celebration show, and it is definitely after Holiday Wishes.